Son Of Samdedi by Facepalm for Horror Haute, May. Outfit includes suit, hat and shoes. Voodoo Staff by Lilith’s Den for Horror Haute, May. iVoudou Make-up by Tasty Pudding for Horror Haute, May. 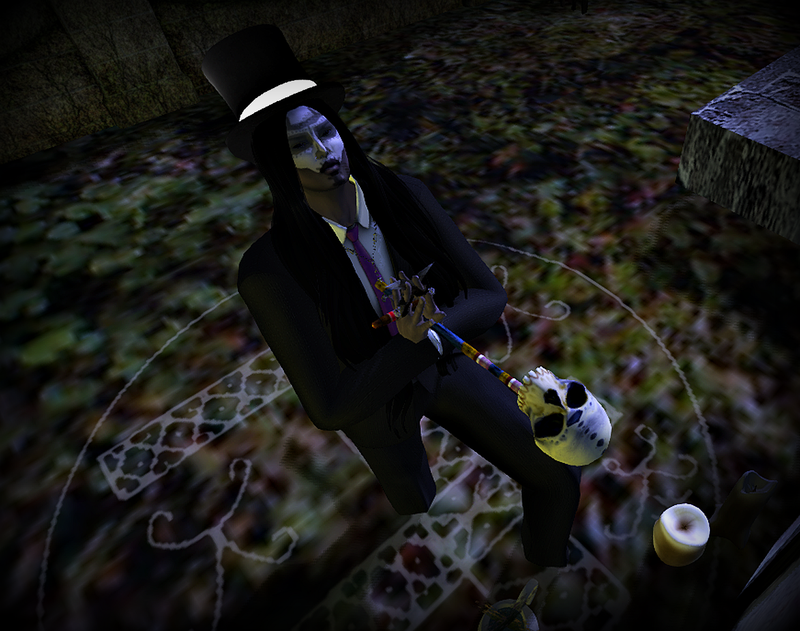 Boukman’s Necklace by Salem for Horror Haute, May. Soul by Soonsiki (rebranded now as Besom). 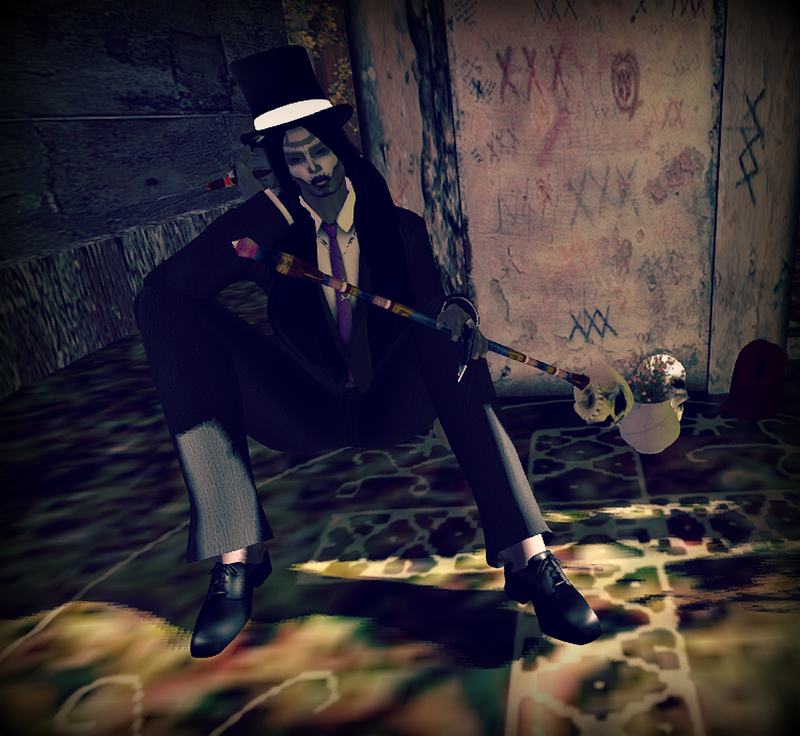 Noctis Skin by Tableau Vivant.